Rose of sharon is a large deciduous flowering shrub in the Mallow family and is hardy in zones 5-10. 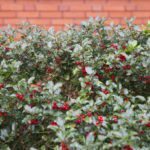 Because of its large, dense habit and its ability to seed itself, rose of sharon makes an excellent living wall or privacy hedge. When left untended, rose of sharon will drop its seeds close to the parent plant. In spring, these seeds will easily germinate and grow into new plants. Rose of sharon can quickly form colonies this way and are actually considered to be invasive in some areas. Knowing this, you may wonder, “Can I plant rose of Sharon seeds?” Yes, as long as the plant is not considered invasive where you are or, in the very least, will be grown in an area where it can be appropriately managed. 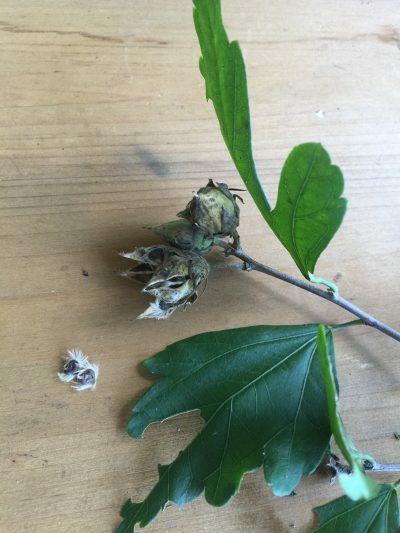 Continue reading to learn how to harvest rose of sharon seeds for propagation. In late summer and fall, rose of sharon is covered in large hibiscus-like flowers that are available in many colors – blues, purples, reds, pinks and whites. These will eventually become seed pods for harvesting. Some specialty varieties of rose of Sharon, however, may actually be sterile and produce no seed to propagate. Also, when growing rose of sharon seeds, the plants you get may not be true to the variety you collected. 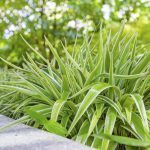 If you have a specialty shrub and you want an exact replica of that variety, propagation by cuttings will be your best option. Flowers of rose of sharon begin to develop into seed pods in October. These green seed pods then take six to fourteen weeks to mature and ripen. Rose of sharon seeds grow in pods with five lobes, with three to five seeds forming in each lobe. The seed pods will become brown and dry when they are ripe, then each lobe will split open and disperse the seeds. These seeds do not go far from the parent plant. If left on the plant through winter, rose of sharon seeds will provide food for birds like goldfinches, wrens, cardinals, and tufted titmice. If conditions are right, the remaining seed will drop and become seedlings in the spring. Collecting rose of sharon seed is not always easy because its seeds ripen in winter. The seeds need this cold period to properly germinate in the spring. Rose of sharon seeds can be collected before they ripen, but they should be allowed to dry out, then placed in a paper bag in the refrigerator until you are ready to plant them. If rose of sharon seed pods are harvested too early, they may not ripen or produce viable seed. A simple method of rose of sharon seed collection is to put nylon or paper bags over maturing seed pods in late autumn or early winter. When the pods pop open, seeds will be caught in the nylon or bags. You can still leave half for songbirds. Learning how to grow rose of sharon seeds is easy. Rose of sharon grows best in humus rich, fertile soil. Sow rose of sharon seeds ¼-½ deep. Cover loosely with appropriate soil. Plant seed outdoors in autumn or indoors 12 weeks before last frost date for your area. Rose of sharon seedlings need full sun and deep waterings to develop into tough plants. They may also need protection from birds and animals when they are young.